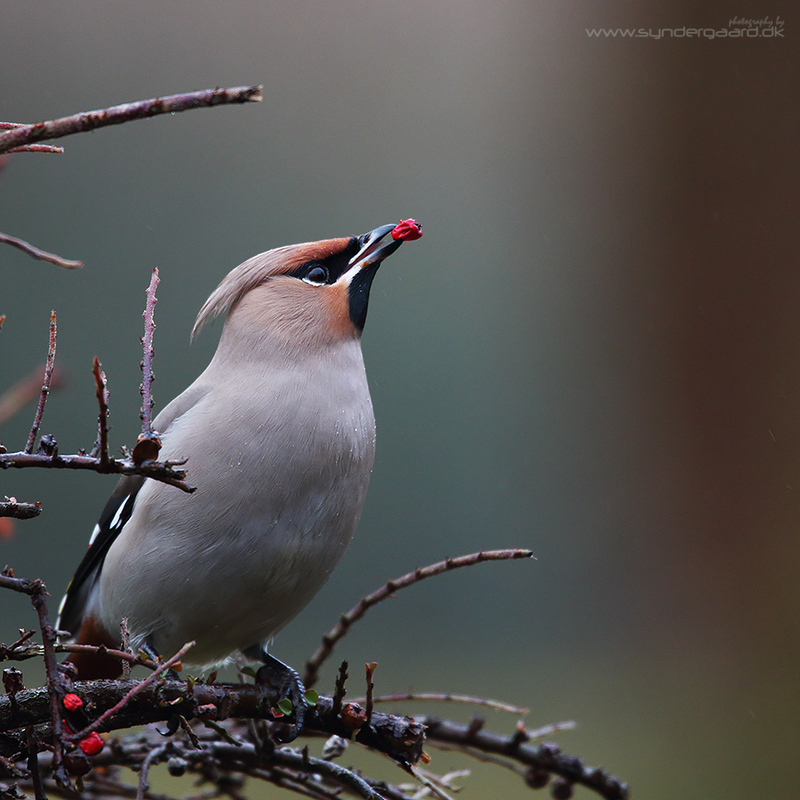 The Bohemian waxwing (Bombycilla garrulus), like the Hawk owl, is an irruptive species of bird. 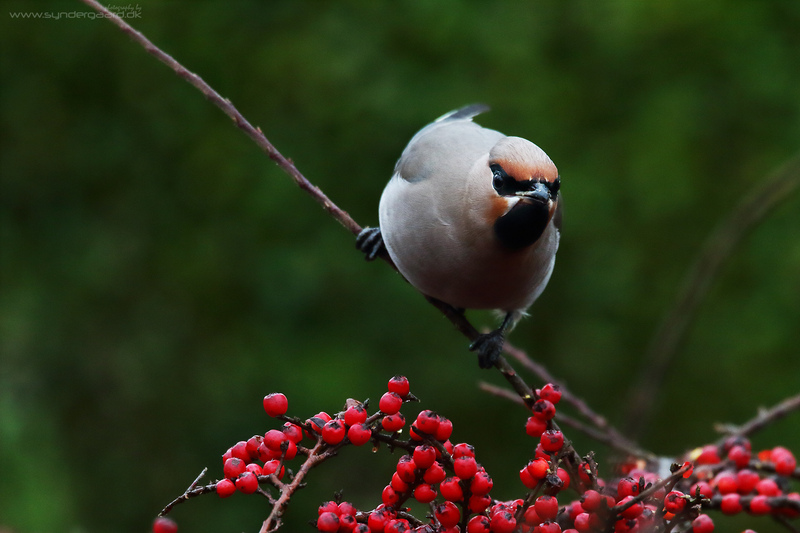 Its irruptions are however much more frequent, and groups of Waxwings are found foraging on Danish fruit and berries almost every winter. 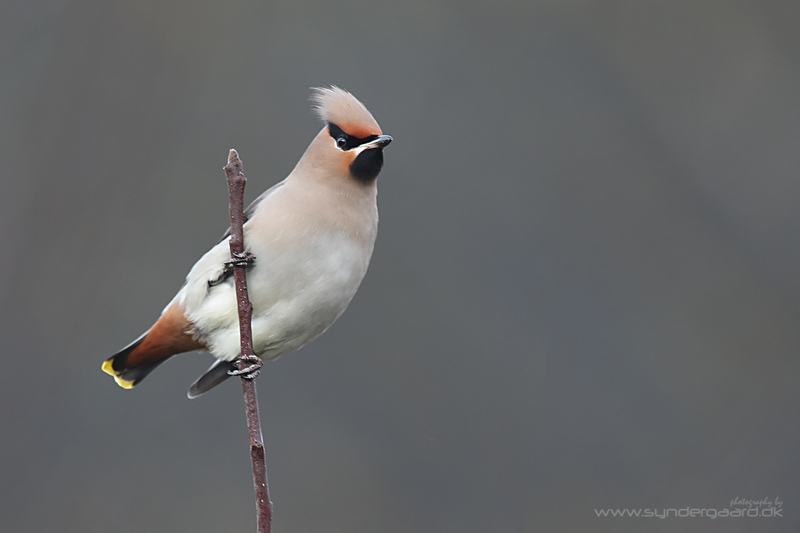 Denmark is quite far from their sub-Arctic breeding grounds, but fortunately full of all the things Waxwings like to eat, so the journey doesn’t seem to deter them. 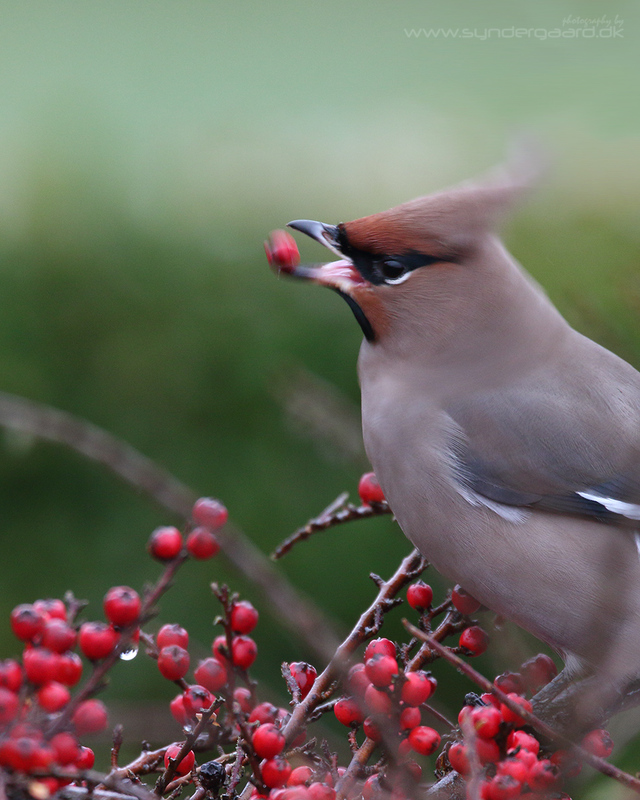 Because they often feed on fermented berries, they have had to develop strategies to cope with alcohol; their livers are much larger than livers from non alcoholic birds of similar size. 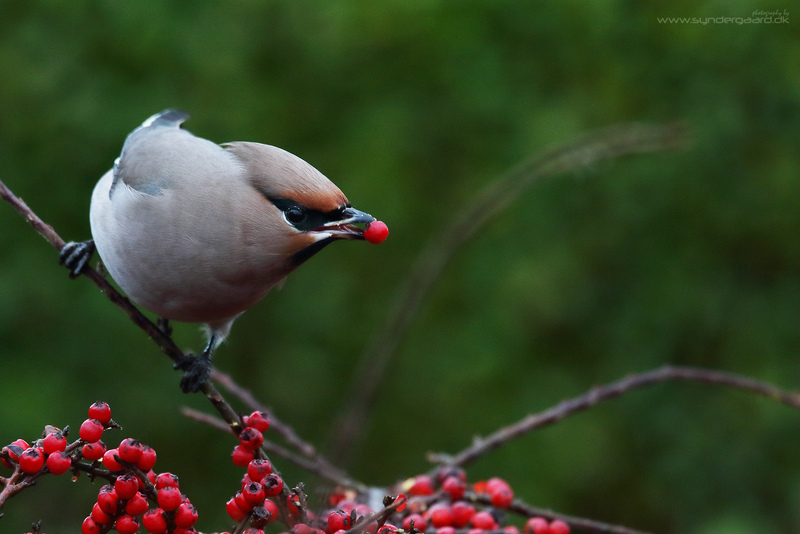 This enables them to keep eating berries long after other birds would have dropped off their branches, but they are still occasionally intoxicated according to some sources. I have no idea how one determines this, and I don’t know if the flock I met were reaching critical levels of drunkenness or not – I just know that they’re very pretty! 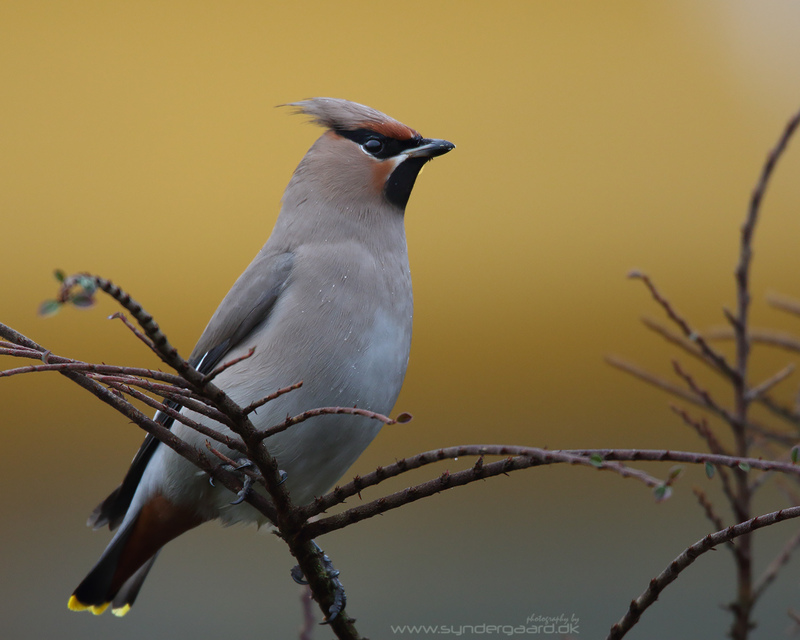 Flocks of visiting Waxwings are often discovered on their call; it has been likened to the ringing of small silver bells. 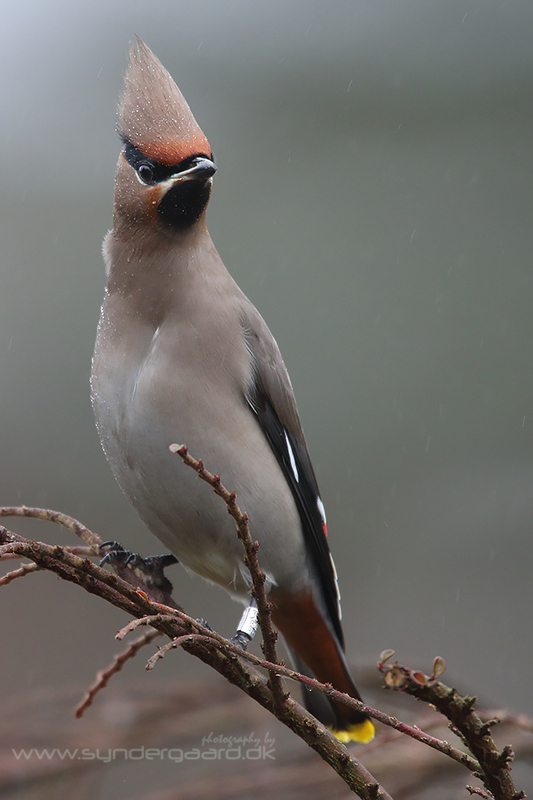 Yesterday I was working at my desk when I heard them outside my window, and although there was little light for the camera to operate with I took the chance and went out to photograph them. A few images turned out rather nicely; here are the best ones. 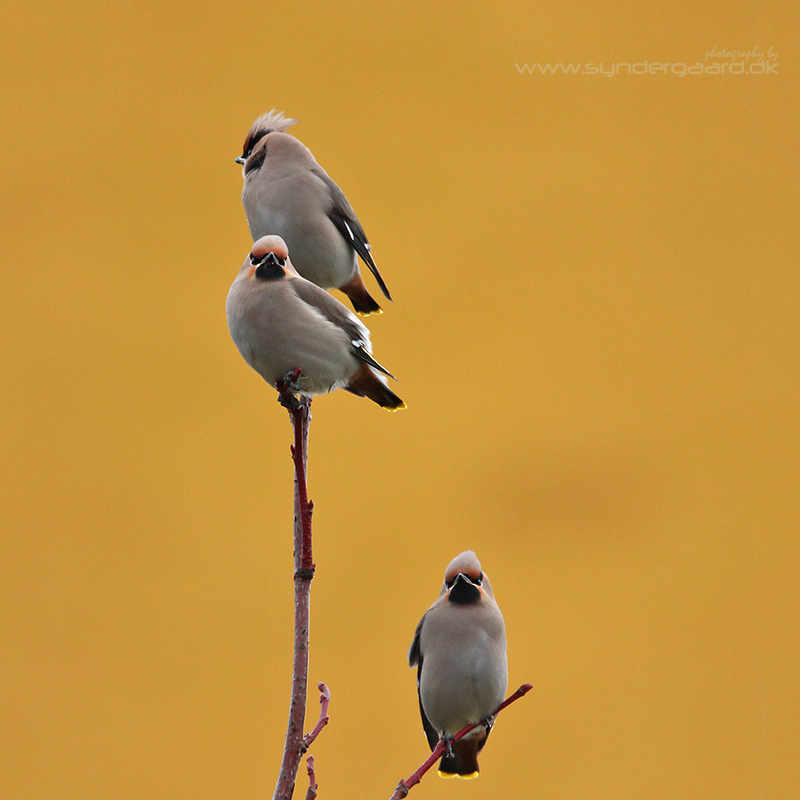 The Waxwings are mostly unfazed by human company. Simply waiting for them to resume feeding produced these results. Slow shutter speeds and action sometimes produces attractive images. And then it began to drizzle. Not great for the camera, but very nice for the images. 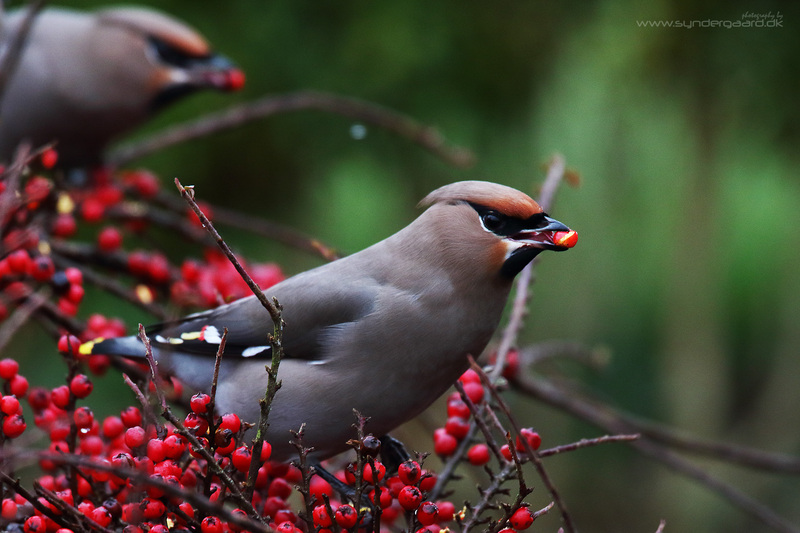 They do go through very many berries in a foraging session. Stocking up for the long flight home I guess. Nice background, blurry bird due to very low shutter speed. Background is the local church. It is almost as if they know how to look their best. Another bird before the church tower.